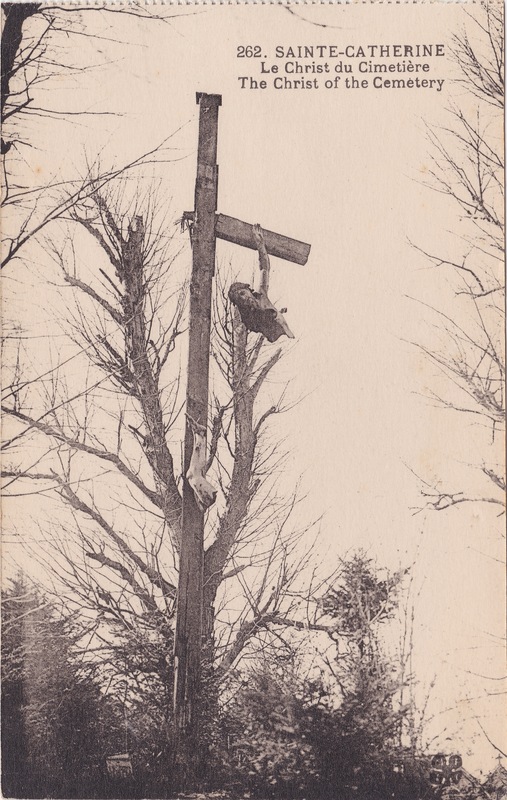 Sainte-Catherine, Le Christ du Cimetière / The Christ of the Cemetery, postcard n°262, appearing inside a small booklet (14,9×8,6 cm) as the first one of it’s 11 detachable postcards: photographs of ruins, remnants and 1914-1918’s war monuments, shot probably immediately after the end of the conflict or soon after; halftone prints; published (in 1918-1919?) by the “Edit. 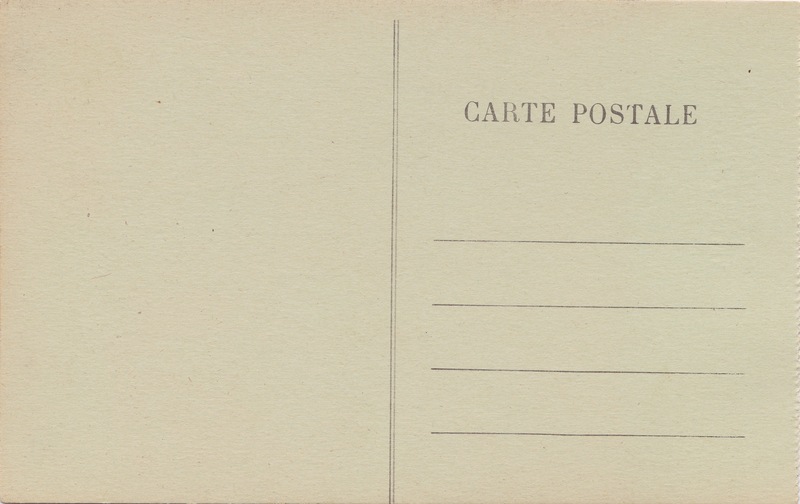 Stenne-Leflon” (Nord-Pas-de-Calais? 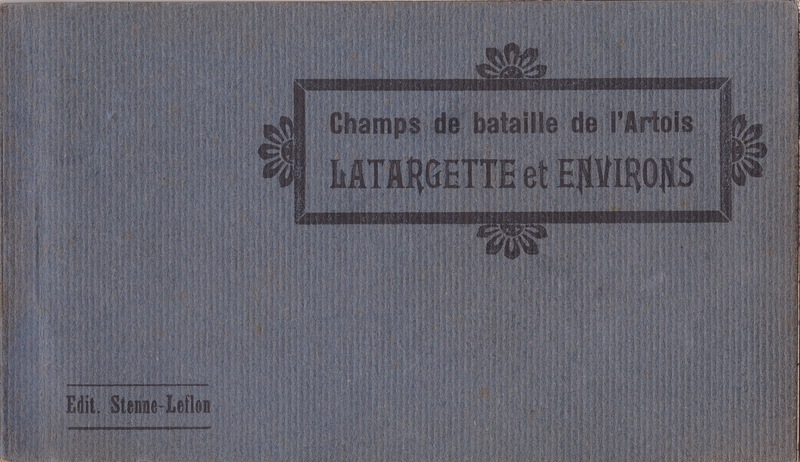 ), under the title: Champs de bataille de l’Artois — Latargette et Environs.